CBC dubbed her one of "12 up-and-coming Canadian comedians who will be everywhere in 2018," and she was featured as a comedian to watch on the front page of the Toronto Star's entertainment section. Kate has been invited to perform in JFL42 in Toronto, Off JFL + Zoofest in Montreal, SheDot Festival, NXNE, SirusXM Top Comic, HBO's Women in Comedy Festival in Boston, and became the first woman to win the Toronto Comedy Brawl in its 9-year history, beating out over 400 other comedians. 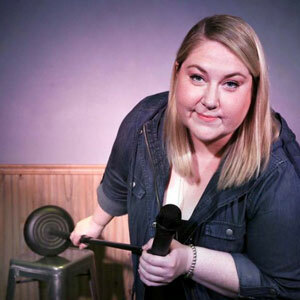 In 2018, Kate has continued to stand out, winning multiple competitions including The Comedy Store's King Gong show in London UK, and the Brantford Comedy Festival's Rising Star title, before being asked to join the roster of Yuk Yuk's, Canada's largest, and most recognized comedy brand! Most recently, she was nominated as "Notable Stand-Up Comedian" of the year through the Notable Life Awards.